Seoul: Independent Counsel Huh Ik-bum speaks at a news briefing at his office in Seoul on July 20, 2018. 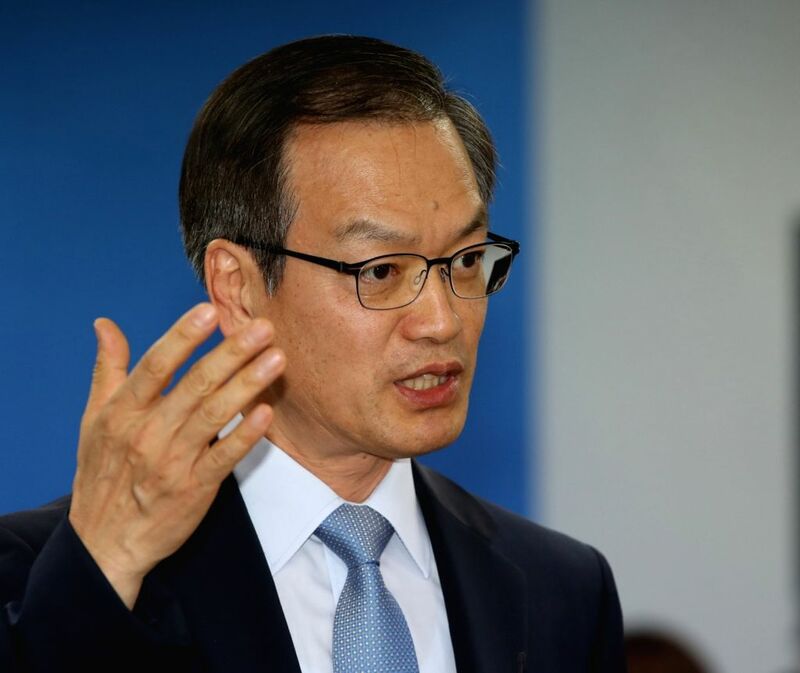 A Seoul court the previous day denied the special prosecutors' request to arrest a lawyer linked to an opinion-rigging scandal on charges he gave illegal political funds to a prominent opposition lawmaker. The counsel is looking into the scandal involving a power blogger known as "Druking," some aides to President Moon Jae-in and ruling Democratic Party lawmakers.